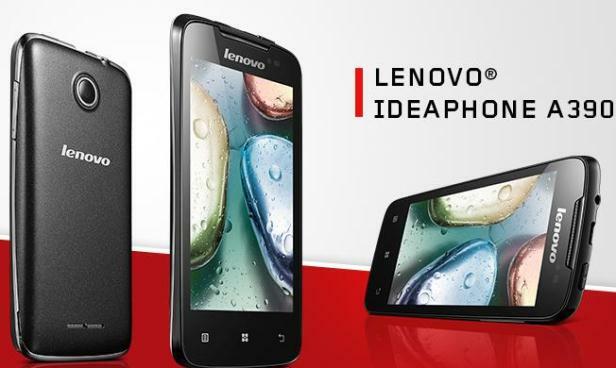 This article will touch on how to hard reset the Lenovo A390 using various methods. There are at least 4 or 5 available for you to choose from, but we will only focus on two main ones and an additional third one that we consider safe to use. Please bear in mind that this is an operation to use when your phone is unresponsive and looks like it has been infected by a virus. Please don’t use any of the options below if the issues you’re facing are minor or you’re not sure how to operate the phone. As you probably know it already, the hard reset procedure, also popular under the name of a master reset is a simple one that anyone should be able to do at home. Being a quick and dirty way to remove all data from the internal memory while erasing the settings and reinstalling the operating system, this is a safe process, as long as you make sure to follow our instructions step-by-step. Regarding the Lenovo smartphone itself, this model has been released in April 2013. It is powered by the Ice Cream Sandwich version of the Android OS and comes with FM Radio, as well as GPS technology. Allowing users to save up to 4GB onto the RAM, this phone has a 4 inches display with multitouch. Its BT version 3.0 and Wi-Fi hotspot guarantee a nice user experience for those who care a lot about connectivity. Other technical specifications to look at are the dual-core 1 GHz CPU and its PowerVR GPU. You should also remember that the Lenovo A390 comes with a Mediatek MT6577 chipset that makes it as efficient and powerful as it is. The Li-Ion 1500 mAh battery that it comes with can be easily taken out for soft reset purposes and supports a maximum of 14 hours talk-time in 2G. When your phone froze, stopped answering to commands or you want to sell it to someone else, you might want to do a full reset on it. This way, the data on your Lenovo A390 will be quickly removed, and the settings will the restored to the factory or original state. Before you reset the device, please make sure that you actually updated your backup or made one in case you never created one before. This can be done using Google Backup or a cloud, but you’re free to also transfer the files you need onto any device you choose. Turn the phone on and go to the Home Display. Tap the Apps icon and open the tray. Go to Settings and click on Backup & Reset. Choose Factory Data Reset and wait for the reboot to be done. It might take a few minutes for the factory restore to be complete. Once it is done, your phone will reboot – this means that the display will go black for a bit, as it happens when you turn it off. There is no need to panic in such cases, as the device is just getting ready to restart. Turn the device off and wait for a few minutes. Remove the battery and reinsert it after a minute/two. Press Volume Up and Power, and then keep holding. Release them when a menu is loaded and wait. 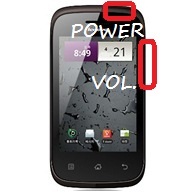 Use Volume Down to highlight Wipe Data and press Power. Confirm Wipe Cache partition if necessary and tap Power. The reboot will be prompted, and it should take up to 5 minutes for this to be entirely done. However, if any of the methods above failed to work or you’d like to use a hard reset code for the procedure, you can also open the Dial Pad and enter *2767*3855# and press the Call button.